Kuala Lumpur, Malaysia will be home to the 21st Soroptimist International Convention in 2019. The first Asian city to host the SI Convention, the event is expected to be held at the Kuala Lumpur Convention Centre from 18 – 21 July 2019. Those who were lucky enough to experience the 20th Soroptimist International Convention in Istanbul, 2015, will have caught a magnificent glimpse of things to come, when Puan Sri Siew Yong Gnanalingam, the SI Convention Chair for the 21st SI Convention, received the SI flag in a symbolic handover ceremony from Emine Erdem, Convention Chair of 20th SI Convention, Istanbul. Puan Sri Siew Yong Gnanalingam says: “It is an honour for Kuala Lumpur to be chosen as the host of the next SI International Convention and more so, since it will be the first Asian city to host an SI Convention, since the first Convention in 1934. 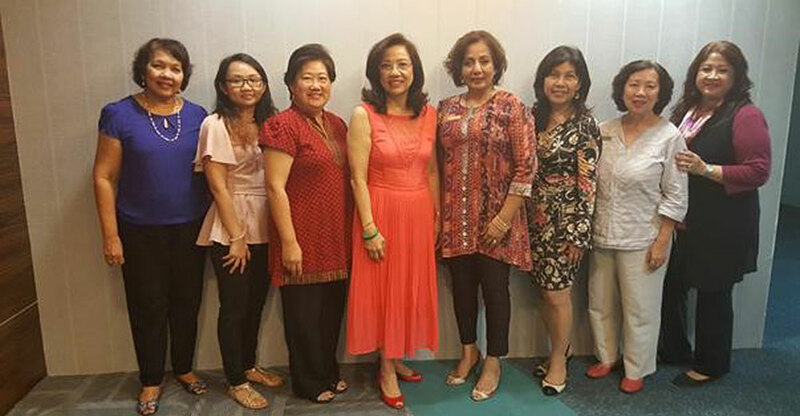 Malaysia offers a great window of opportunity to engage Soroptimist members from around the world. It is a gathering where women can come together to give, to share, to learn from each other and to be together in friendship. Besides having world renowned speakers share their thoughts, the Convention also offers a platform for global SI representatives to present their respective best practice projects aimed at improving the lives of women and girls in their community, through the SI Programme of Service theme, ‘Educate to Lead’. Malaysia has so much to offer our delegates and the organising committee and our sponsors, MyCeb are working hard to make it the biggest International Convention ever”. Soroptimist International Region of Malaysia (SIROM), has played a huge part in empowering women and girls through its fourteen member clubs, having undertaken several ‘life changing’ and award winning projects since the founding of the first club in 1991, to improve access to economic empowerment and sustainable opportunities for women in Malaysia. The 21st Soroptimist International Convention organisation committee in Malaysia will be partnered by Malaysia Convention & Exhibition Bureau (MyCEB), a Government agency under the Ministry of Tourism and Culture Malaysia. MyCEB’s role is aimed at promoting and positioning Malaysia to be the preferred international business events and convention hub. Datuk Zulkefli Haji Sharif, Chief Executive Officer of Malaysia Convention & Exhibition Bureau (MyCEB) says:“I believe that the 21st Soroptimist International Convention Kuala Lumpur 2019 will be a remarkable event; marking another milestone for Malaysia in the business events industry. Malaysia has so much to offer from business opportunities to the exciting mix of cultures, scrumptious local food, lively entertainment and shopping paradise. We look forward to the year 2019 and we are ever ready to host the 21st Soroptimist International Convention here in Kuala Lumpur”. Further news and information will be available on the SI Website as soon as it becomes available so watch this space!